Q. I miss the table at the entry gates. Otherwise 10/10! 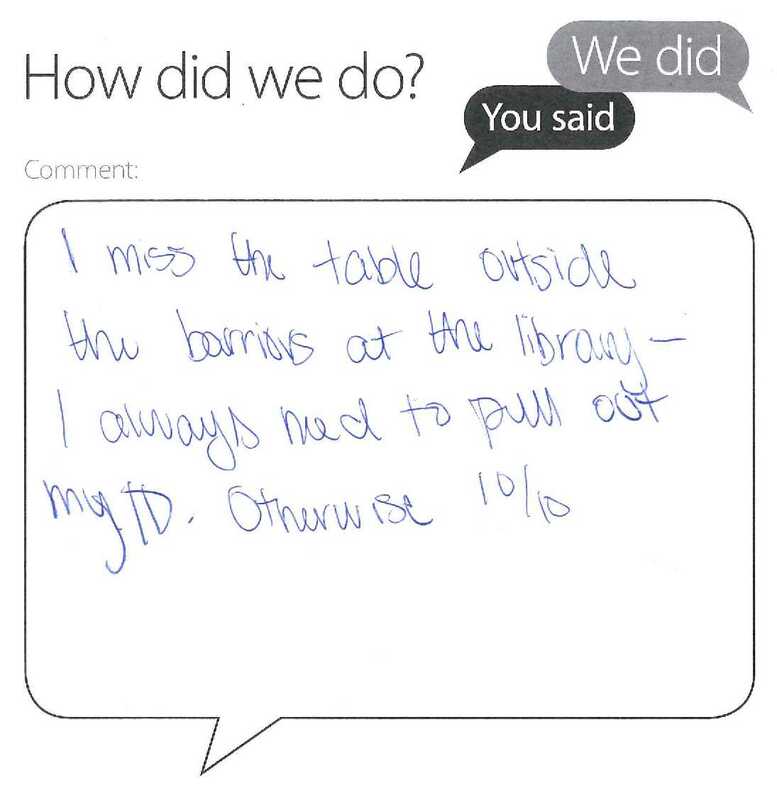 Thank you for taking the time to complete a ‘You said, we did’ card and for your positive feedback. It is much appreciated. You will be pleased to know that we have reinstated the table opposite the entrance desk – because of feedback from students. We will do our best to make sure the table is used for the purpose you suggest and not as an informal meeting area or left luggage spot!